A couple weeks ago, we launched another big feature that makes accounting even simpler for DeskManager clients. In DeskManager 11.90.3, you can now send every financial record your accountant needs from each lease directly to QuickBooks, where the information will become reflected in your chart of accounts. What does this mean for you, the dealer? Our QuickBooks interface can take DeskManager lease data and map it to the correct accounts in QuickBooks. If you have the Lease Here Pay Here module, it’s a massive time-saver and essential to maintaining accurate accounting records. If your accountant pestered you to dig for this information manually, you’d really have to have an accounting degree of your own to know what to look for. Even if you did create the perfect report, it would take your accountant an enormously long time to parse this information into a format QuickBooks can work with. And yes, it’s a safe bet you’d be billed for every one of those extra hours. By separating your lease accounting from your deal accounting, you can report far more expenses and reduce your tax liabilities. 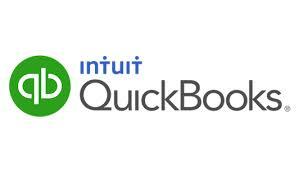 But our QuickBooks interface can go oven further, creating separate accounts for lease-specific taxes and fees. If you have Lease Here Pay Here, you’ll always know the true depreciation of each vehicle you lease. That’s important because federal law allows you to expense the depreciation of your leased vehicle assets. When you expense the true depreciation of each vehicle, you’re reducing your reported income and the taxes you pay on that income. At the beginning of a lease, a customer must pay the first periodical payment along with the down payment if he or she wants to drive off the lot that day. If the customer wants the vehicle on some future date, the dealership must still calculate a lease charge for the time between the signing date and the drive-off date. DeskManager can record each of these scenarios, which allows you to account for the additional fees. See all your vehicle assets, and account for the vehicles you have sitting on the lot versus vehicles that are being driven by lessees. Our QuickBooks interface can easily be configured to map to the accounting structure you already use, so it’s not confined to our terms and labels. Note: To send your auto leases to QuickBooks, you’ll need a recent copy of QuickBooks, the DeskManager Lease Here Pay Here module and the DeskManager QuickBooks Direct Interface.